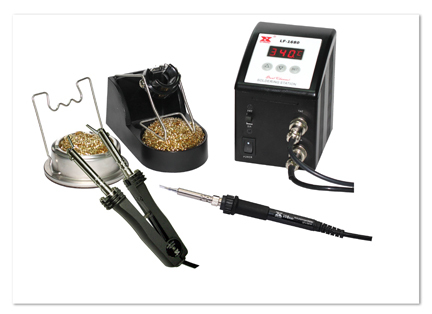 Multi-Function SMD Rework System - Soldering, Desoldering and Hot Air. 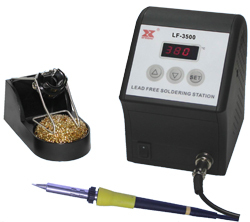 The LF-2000 90 Watt soldering station with on-board micro-processor control. 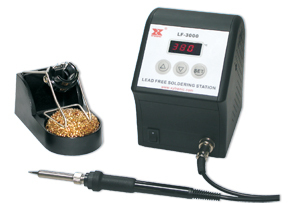 XYtronic LF-3000 90 Watt soldering station. Lead free, high frequency & high heat capacity. 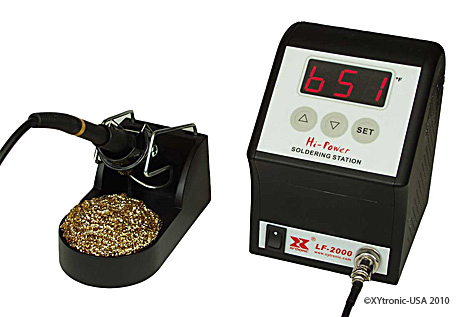 XYtronic LF-3500, 150 Watt Soldering station. Lead free, high frequency & high heat capacity. 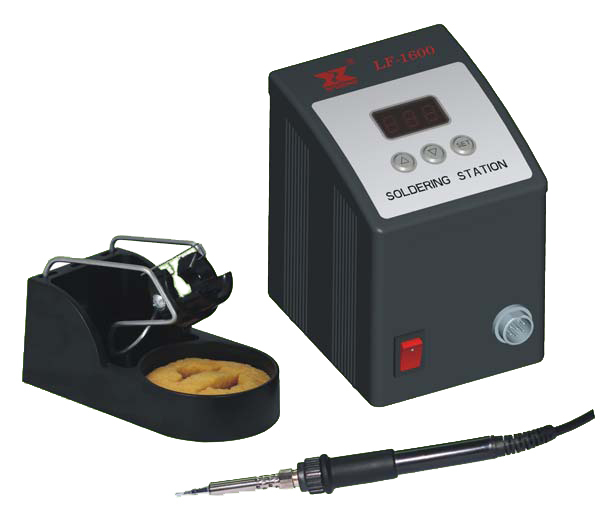 Xytronic 137ESD Soldering Station - Ceramic Element, ESD, Temperature Lock-Out, Balanced Comfort Iron for Production. Station Accepts Both Soldering Iron and TWZ60 Thermal Tweezer. 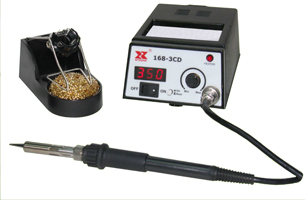 Xytronic 168-3CD, 60Watt Digital Soldering Station with NICHROME heating element. Upgraded from the exclusive 168-3C to include upgraded housing, digital read out and calibration port added to the front base for convenient fine tuning. 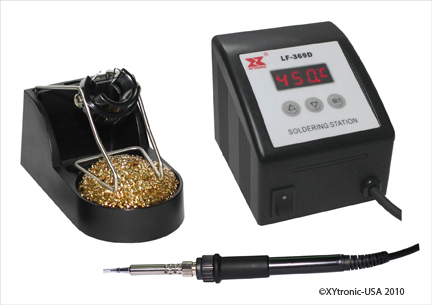 Xytronic 379 42W Soldering Station - Ceramic Element, Xytronic's most popular Entry-Level Soldering Station. 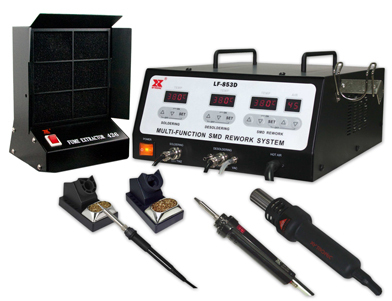 Xytronic LF-1600, 32Vac/80Watt Soldering Station with ceramic heating element. XYtronic LF-1680 80Watt, Micro digital rework station with SMD tweezers. Alluminum alloy housing with ceramic heating element. 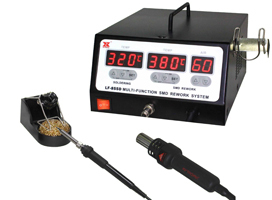 XYtronic LF-855D Multi-Function; 90 Watt Soldering and 700 Watt Hot air rework station. 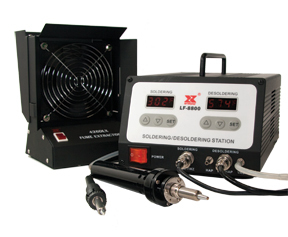 Xytronic LF-8800 100 Watt Solder and Desoldering Station. Both tools can be used simultaneously.